Sheen Magazine – Rihanna Shares When She Will Grace Us with New Music! Rihanna Shares When She Will Grace Us with New Music! Riri is here to let you know she hasn’t gone anywhere! 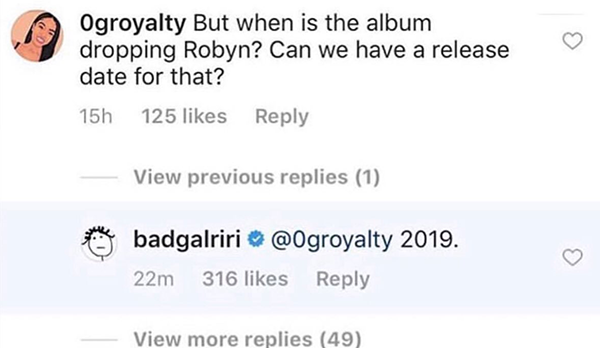 We’ve been on our toes awaiting the release of new music from the badgal and now, without releasing much detail we at least know when we can expect to hear it. Rihanna’s album titled, Anti was released back in 2016. Since then, Rihanna has poured her heart and soul into Fenty Beauty and Savage X, her lingerie line. She also starred in Ocean’s Eight alongside Sandra Bullock, Cate Blanchett, Awkwafina, Anne Hathaway, and many others! Her next project is a film titled, Guava Island in which she will star alongside Donald Glover. Join us as we patiently wait for the release of new songs from Rihanna!